Despite the general pattern of the divorce rate declining, there are still plenty of married couples who untie the knot. Doing so is obviously life-changing, but it can also have a severe impact on your career and ability to work efficiently. In this post, we’ll take a closer look at some of the issues that come with divorce, and why assistance and support from HR is vital to staying on track. Although there’s a lot of focus these days on how technology is one of the most valuable assets available to business owners, employees are still very much the bread and butter of the workplace. Teamwork, productivity and efficiency on a day-to-day basis are qualities needed to attain long-term success. Unfortunately, all of these things can be impacted if a workplace happens to be feeling the effects of a divorce. The end of a marriage is an immensely stressful ordeal and arguably one of the most challenging experiences of a person’s life. It’s for this reason that there are not only repercussions for the career of the person going through a divorce, but also for the workplace environment as a whole. 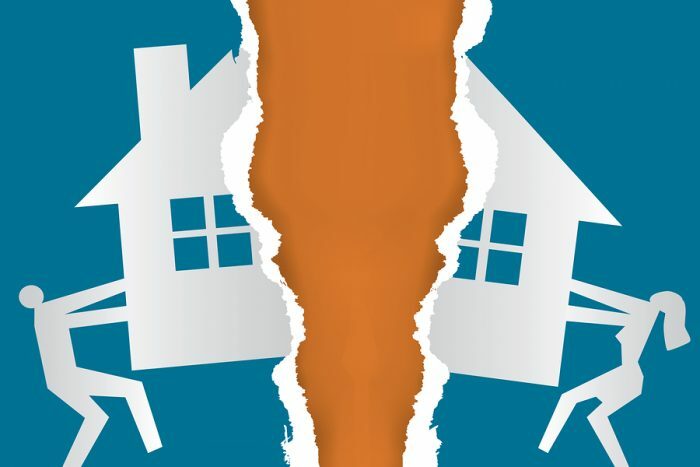 In this article, we’ll highlight some of the ways a divorce — whether it involves an employee or upper management — can have an effect on the workplace environment, and why HR is so important to make sure a company or individual doesn’t suffer. Low levels of productivity are a huge problem for businesses, as it has the potential to impact the progress of an entire company. If one employee is failing to complete tasks and carry out their duties on time, it naturally affects others who rely on them. People experiencing a divorce can be stressed, distracted and, in some cases, depressed. In this state of mind, their performance may show signs of decline, so it’s vital for HR to react accordingly to get things back on track. Approaching an employee who’s feeling the effects of a divorce should always be done with caution. It’s vital to demonstrate a genuine sense of sympathy and to listen, but also to point out how it’s affecting their work. It’s crucial to maintain a healthy balance between the needs of an employee and the needs of the company. When it comes to giving advice, it’s best to leave this to their family lawyer, as a divorce solicitor will have years of experience dealing with people in the same situation. If, despite your best efforts, the employee continues to maintain the same lack of productivity and attitude towards their work, part-time hours are an alternative that gives them the time to get in the right state of mind and deal with their legal proceedings. The atmosphere of the workplace and the morale of its employees play a massive role when it comes to productivity and motivation. Unfortunately, if one employee is severely stressed or sad, it can impact those around them. This could be due to concern for a friend, gossiping and hostility, or an uncomfortable “creeping on eggshells” environment. No matter the reason, low morale and a stressful work atmosphere is something that no business should sit back and ignore, and HR can be the difference between happy and unhappy employees. Unrest in the workplace should be avoided at all costs. It’s essential to talk to the employee and discuss how you should proceed, respecting their predicament, but also explaining the impact it is having around them. Although it’s crucial to be sympathetic and sensitive, you need to reiterate the effect on their performance on their coworkers. This could lead to a leave of absence to deal with their divorce, part-time hours, or working with their divorce lawyer to try and create a plan that relieves them of legal and financial concerns. Big decisions shape the progression and success of a business, both on a day-to-day and long-term basis. For these decisions to be beneficial to a company, it requires an objective mindset that’s free of distraction or emotional influence — both of which can prove to be a tough task if the decision-maker is in the midst of a divorce. If this person happens to be upper management or another role that demands a lot of responsibility, poor decisions can have an enormous effect on the efficiency and productivity of the workplace. Not only that, it can tarnish the faith employees have in their leader and respect for their authority. For employees experiencing divorce, everyday decisions being made badly can be damaging to both their career and the reputation of the company. If a staff member is showing signs of stress and poor decision-making, it needs to be dealt with without hesitation. Although it’s important to sympathise with their situation, business always comes first, so a warning about their current attitude may be necessary. Absenteeism is never ideal, but if you aren’t confident that they can work effectively during this period, then time away from the office may be the only option.